I've walked pass the Sydney Burwood Café (formally know as Burwood Park Cafe) a hundred times but due to my working hours it was never open so I never had the opportunity to venture in earlier. Thankfully it is open on Saturday mornings and I was able to pop in for breakfast with my wife. Located towards the quieter side of Burwood road, next to Burwood Park the café had plenty of seating both inside and outside to cater for everyone, especially for smokers. When we visited there were a few patrons who had popped in for breakfast. It looked as if they were regular customers who stopped in while waiting in line to have their haircut at Joe's Hair Studio's, the barber next door. A regular ritual of mates catching up on a Saturday morning to have a chat with friends, get a haircut and enjoy hearty feed as well. 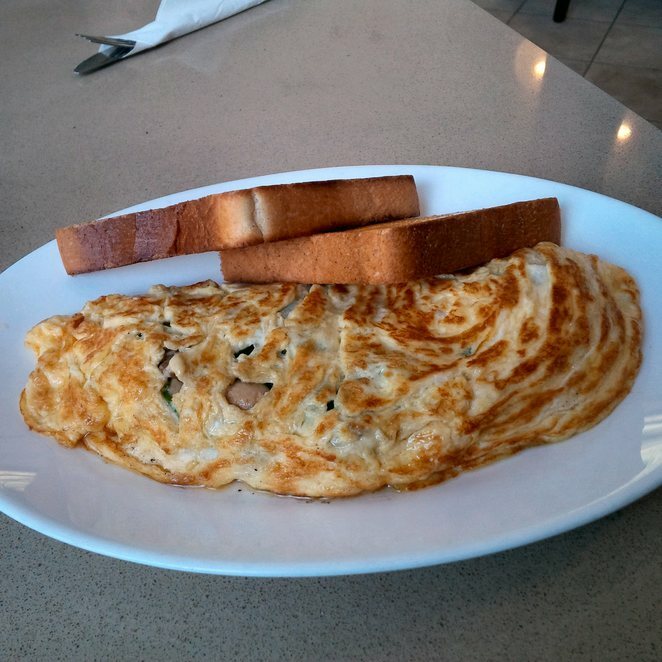 My wife ordered a mushroom, cheese and spinach omelette, I can't speak for her but by the time we were leaving there was nothing left on the plate. I'll let you be the judge on that one from the photo. 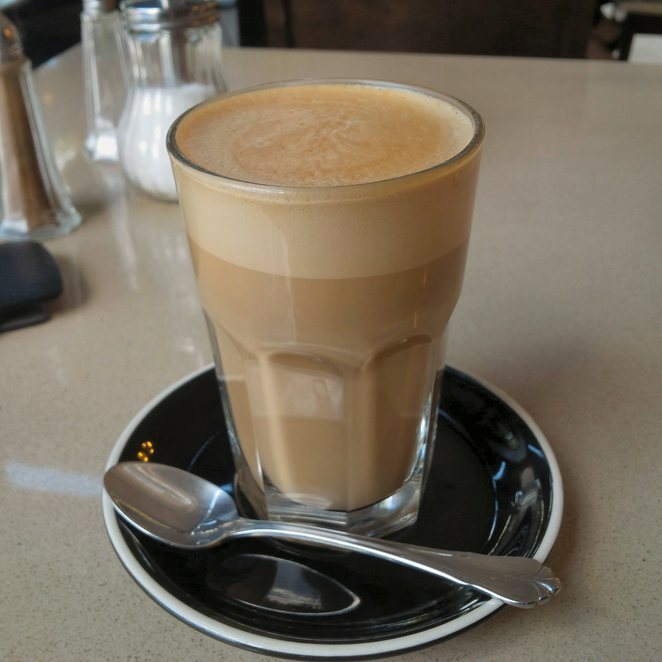 I ordered a café latte from the menu which was made just right, the way a café latte should be made in my opinion, with the right balance of coffee, mike and froth. Yes, I'm a bit of a perfectionist but hey nothing wrong with wanting a well-made coffee. 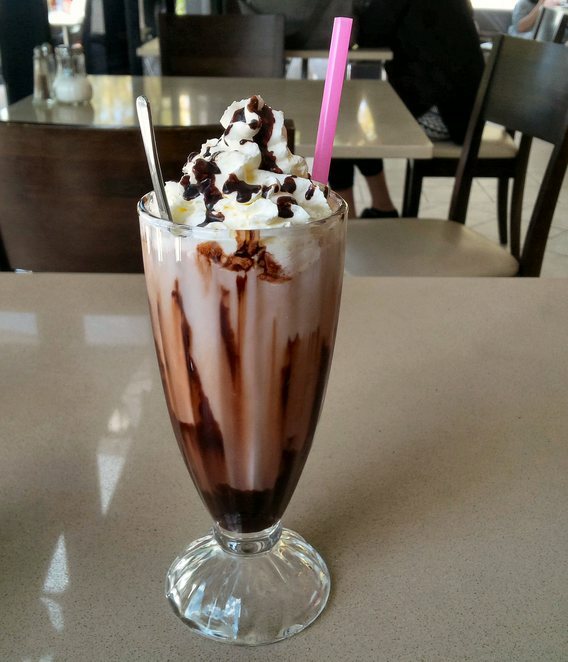 Just have a look at the photo of the iced chocolate; I couldn't think anything that could be done to make it better. Well maybe leave the spoon outside, never really did understand why a spoon was placed inside an iced chocolate when the first think people generally do is pull it out, plus it generally causes a bit of mess, another one of my little silly pet hates. While looking around the café, I have to admit there was a lot to look at, plenty of artwork and interesting quirky designs. I particularly liked the light fittings made out of take away coffee cups, a little something that added to the place. 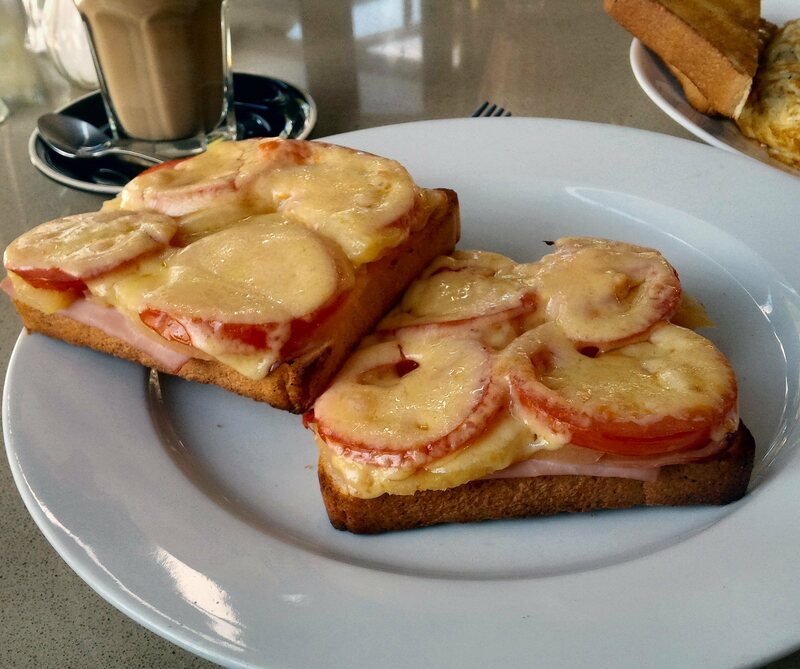 Personally, I'd happily visit the Sydney Burwood Café again, it may not be a spot for everyone, but I found it quiet, secluded from the busier areas and the service fast, friendly and done with a smile. Great review! Like your style. The open melt certainly looks very good.